I found my taste buds rejoicing! One of the things to love about the Philippines is definitely food. 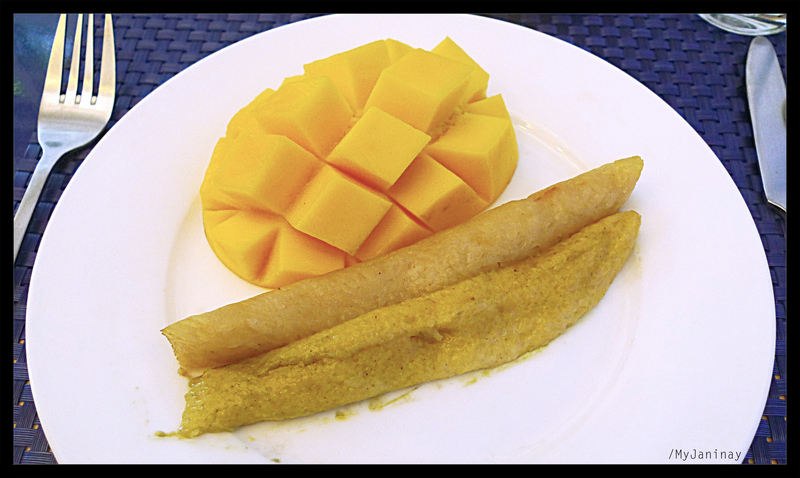 It was my first time in Dumaguete City, Oriental Negros, and we were greeted with a feast fit for a sweet tooth! This was the appetizer – hot chocolate with the native delicacy called budbud (just like sum an) and a sweet ripe mango. These are two varieties of the local delicacy called budbud. The one above is made from sticky rice and the one below, called budbud kabog, is made with bird seed. Though it may look grainier than the other, the budbud kabog had a smoother and softer consistency. There are two varieties. One is typically what we Filipinos are used to, made from sticky rice. The other is a bit more unconventional called budbud kabog and is made out of millet (which is actually sold as bird seed!). 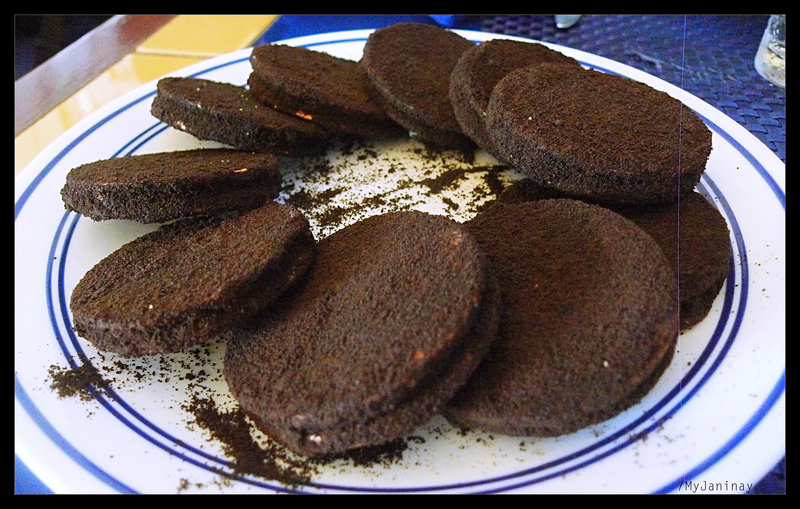 Silvanas is a frozen cookie version of the Sans Rival cake. It’s made with buttercream sandwiched by merengue-cashew wafers, coated in cookie crumbs. This is the famous Sans Rival from Sans Rival Bistro! 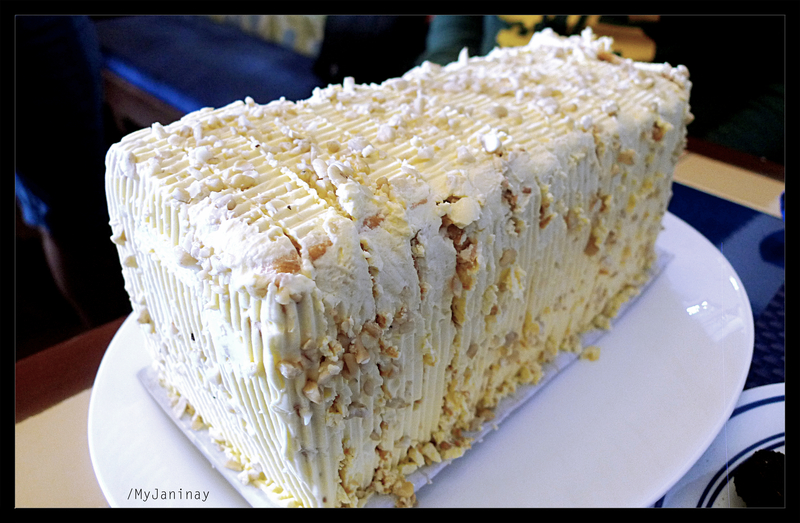 Sans Rival is a Filipino dessert made of layers of merengue and buttercream and littered with cashews. YUM. We were all in awe of the SANS RIVAL. And we all looked up to the heavens with a resounding. “Mmmmm,” after taking a bite. Duh-freaking-licious! Dumaguete goes beyond dessert, of course. For a legit-happy-tummy meal, look no further than Lab-as (meaning Fresh)! We got to try the Dumaguete Express, which I found surprisingly yummy. Surprising because I don’t usually like food with coconut milk or gata. This one, though, blew me away. 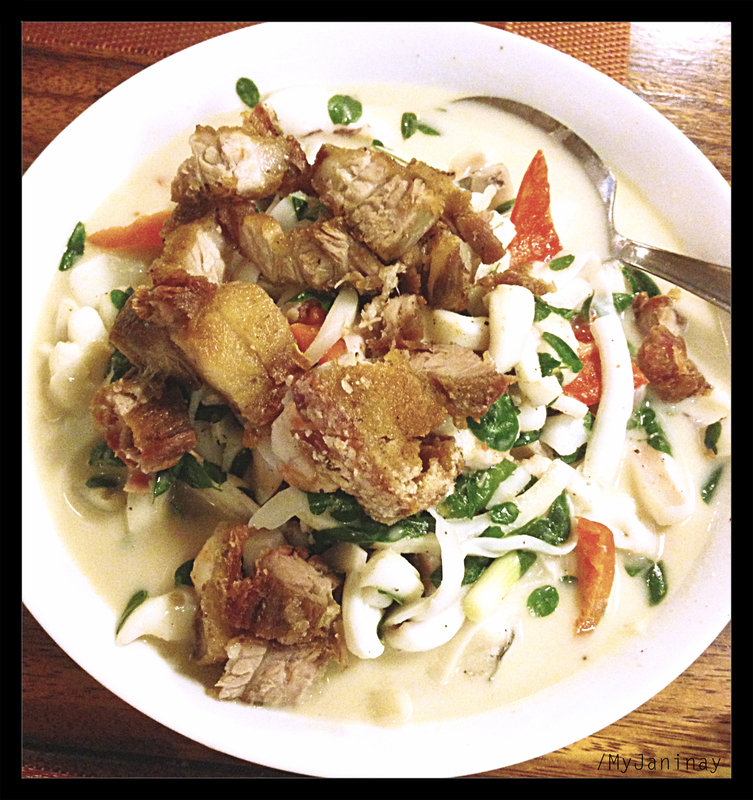 And because of this dish, I’m now more open to try other coconut milk-based food. Dumaguete Express from the famous Lab-as restaurant – a mixture of fresh seafood and crispy chopped pork cooked in coconut milk with malunggay leaves and chili. By the way, I heard Lab-as’s sister bar and resto serves the best pizza in town! Something to try out when I return to Dumaguete. 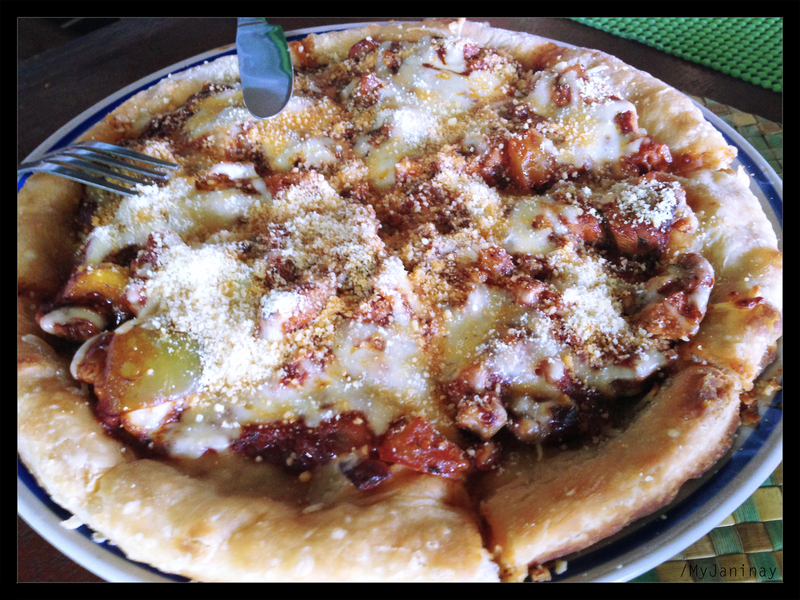 Speaking of pizza, I must give a shout out to the fish pizza in Apo Island! Apo Island is a marine sanctuary with sweet sea turtles to swim with. 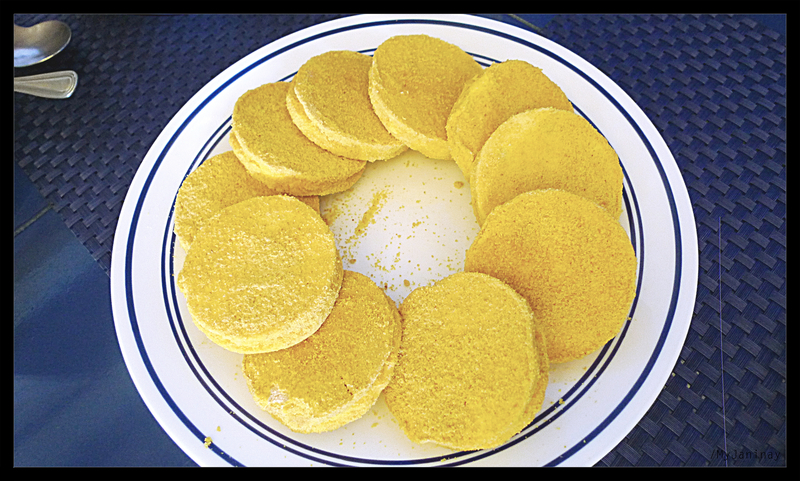 Naturally, you’ll get hungry after all the snorkeling. ORDER THE FISH PIZZA! 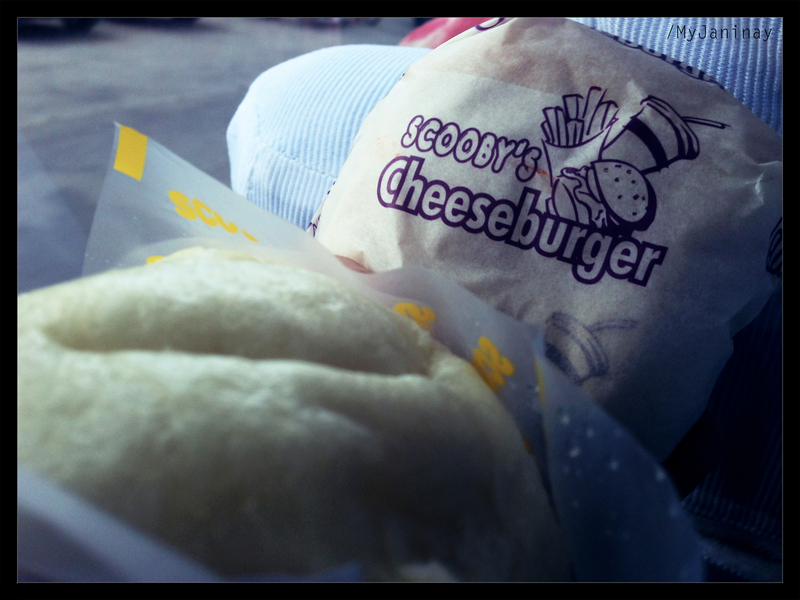 For a quick and cheap meal, Scooby’s is the spot to run to! It’s Dumaguete’s very own local fast food joint. Their cheeseburger was pretty good! It reminded me of an improved Tropical Hut slash Mushroom Burger cheeseburger. Milk Tea Madness around Metro Manila! Milk tea stands are sprouting up everywhere. It’s like the pearl shakes all over again; but now, these places have it all from pearl shakes to coffee-type stuff and, of course, ZE MILK TEA! I understand it. Milk tea cravings haunt me. And I do enjoy the typical ones everyone tries like Cha Time, Happy Lemon, etc, etc. But, for moi, my faves would have to be those in actual restaurants! Mm-mm-mm!!! So… I just want to share my favorite milk tea so far. You guys might want to try em out. Doesn’t hurt that in these restos, the food is good, too. You can enjoy lunch or dinner then cap it off with delish milk tea, as I do! WHEEEEE. I WANT. In no particular order… Here goes! SO GOOT. As for the food, my regulars are rotti canai with curry and the Hainanese Set Meal! That can feed 2 people already… Unless you feel like feasting which is perfectly fine in Banana Leaf because they have loads of tasty food. YEAY! There are a few branches all around the metro so it’s easy to find – Greenhills Promenade, Greenbelt, Rockwell, etc. Plus, they’re one of Philippine’s Best Restaurants in 2011! 4. 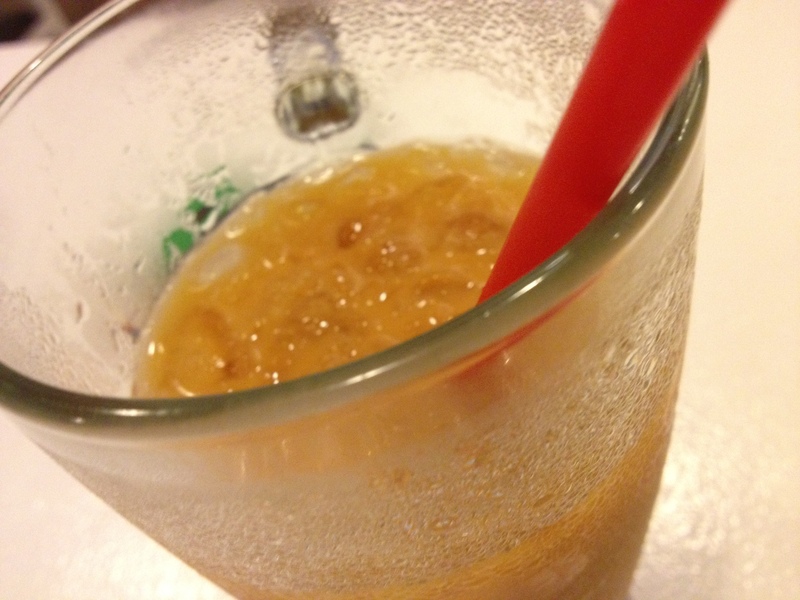 Thai Dara’s Milk TeaI tried the quaint Thai Dara in Kapitolyo – you won’t miss it! They have another branch somewhere in QC as well. Their milk tea is gootenberg! And it’s great with spicy curry orders! In case you didn’t know, milk relieves your tongue from the heat of spiciness. THAT is the cooling power of dairy! Yummy Singaporean food in Ang Mio Kio – The Podium. And they have a range of delicious drinks like their milk tea and the milo dinosaur! Komrad in Eastwood is a haven for people who enjoy spicy food. I LOVE IT THERE. Spiced up Chinese food for the win! But their hidden gem is definitely their milk tea. SO GOOD. I want to run over there right now and buy a glass! Som’s Milk Tea is sold in plastic bottles, like them typical PET bottles – very easy to hoard and stock in your refrigerator. And they’re REALLY good. I believe they have 2 locations – one is near Rockwell and the other is in the Maysilo circle across the Mandaluyong City Hall. I’d drive by there just to take a few bottles home. ARGH. Now I’m craving for legit milk tea. Instead, I’ll post a picture of my favorite milkshake in the metro. Made with carabao’s milk, this delicious delight from Chuck’s Deli gives me the giddy shakes! I prefer strawberry milkshakes, but their chocolate, vanilla, and other flavors should be just as good! After heartbreaking news that we dropped out of the Magic 12, I needed to get out of my bubble so I had dinner (& dranks!) with one of my favorite people in the world. She asked me: When did my work & this campaign become so personal? I realized, oh yeah. Man. This is so fu#%ing personal to me. It became personal when I got to know the heart of one Senator Bam Aquino - when we’d talk about speeches & articles, when I’d be a fly in the wall during interviews & closed-door meetings, when I’d endure awkward car rides & working lunches. (You get to know the guy when you work with him for over 4 years, putting his thoughts on paper as his writer...) I have never known someone this brilliant & humble & hardworking & compassionate & kind & so damn positive. You know what else? I have never met anyone with so much faith and hope in Filipinos. He genuinely believes in the goodness and the greatness of the Filipino people. WTF, RIGHT?! I think that gets me the most these days. Because it’s so easy to lose faith in people, in the world. And here’s this guy, one of the most trolled dudes, and he still sees the best in people and our country... HOW?! I honestly don’t even know if I can hang on to that faith much longer. But he does, with all his heart. Shouldn’t we have more leaders that genuinely believe that we can do better, be better, live better - if only we are given quality education & sufficient opportunities? Especially in these times of hard division, hate speech, brutal violence & trigger-happy killings... These times when even we are hopeless & faithless & angry & uncertain & waterless & people are telling us to leave this scorched country... We need a Senator Bam that will fight for and (more importantly) work hard everyday for a brighter future for Filipino families. Senator Bam is the reason I still have hope for the Philippines. Senator Bam is the reason I still have the little hope I do have in our government. So damn straight, this campaign is personal. And I need your vote and your help to get this guy back in the Senate. Kasi tengene leng, I’ll turn into a bitter patola and roll my eyes at this country if he doesn’t make it in May. Love, tolerance, and peace, please.